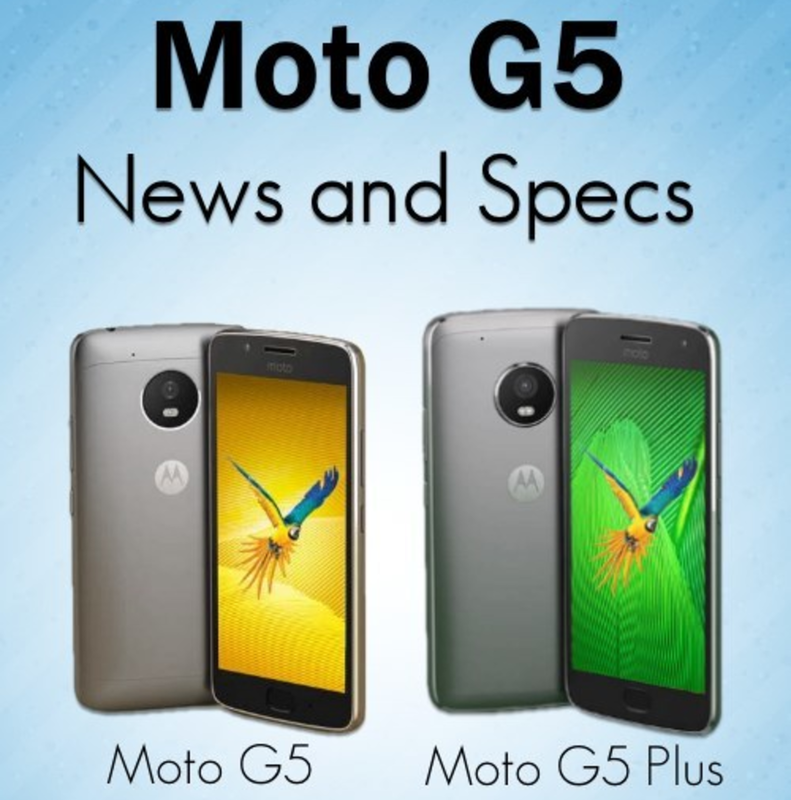 A number of images and information about the Moto G5 has been leaked recently, and most expect the G5 and G5 Plus to be officially announced at the end of February 2017. Lenovo (Motorola's parent company) has already said they will be announcing a new phone, and it appears to be the Moto G5. Once it is officially announced, we expect it to be available sometime in the next month, possibly by mid to late March. First off, these details are not confirmed yet, but we have a lot of confidence in the accuracy. These specs were leaked by an online retailer, and were quickly removed once the mistake was discovered. As son as the phone is officially announced, we will make any updates necessary. The Moto G5 is expected to come with a 5" full HD touchscreen, and the Moto G5 Plus appears to have a 5.2" full HD screen. This is smaller than the G4, which had a 5.5" screen. Both phones have 1920x1080 resolution and Gorilla Glass 3. Both the G5 and G5 Plus come with 2 GB RAM and octa-core processors, but the G5 Plus uses the faster, 2.0 Ghz Snapdragon 625 while the G5 has a 1.4 Ghz Snapdragon 430. For memory, it looks like the G5 will come with 32 GB, and a Micro SD card slot to expand memory by up to 128 GB. The G5 Plus has the same feature, but also comes with 64 GB internal memory. For photo and video needs, the Moto G5 will have a 13 MP rear camera and 5 MP front facing camera. The G5 Plus has a 12 MP rear camera with improved auto-focus capabilities (but less resolution) and the same front camera. Both phones will come with fingerprint readers and Android 7.0, the latest Android operating system. Price for the Moto G5 is expected to be lower than the initial price of the Moto G4. Based on these specs, the Moto G5 Plus looks very attractive as a solid performer for the smartphone enthusiast. 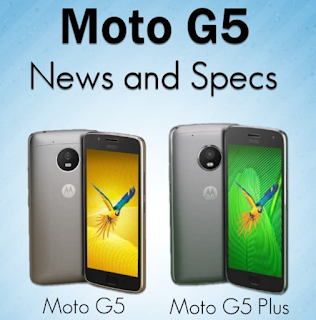 The G5 also has great features, and we are very interested what the price will be. We will update with full details as soon as more because clear, but for now we know that a new Moto G5 will be available soon, and it may be worth waiting for if you're in the market for a new device.